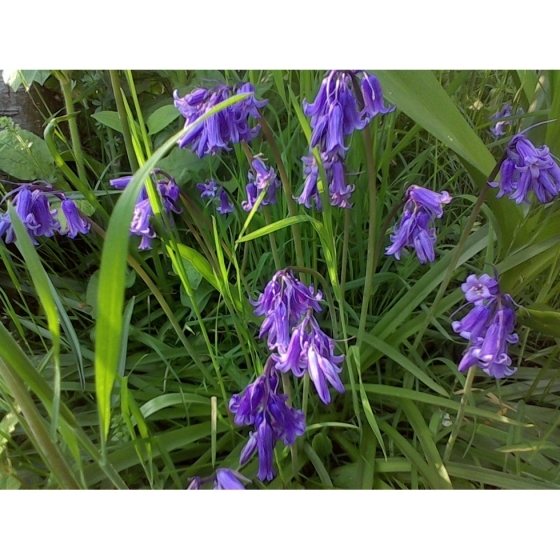 English Bluebell bulbs (hyacinthoides-non-scripta) from Wildflowers UK. English Bluebell Bulbs can be ordered at any time of year but will only be dispatched between October and November whilst bulbs are fully dormant. If possible please ensure orders reach us before mid-September, to ensure autumn dispatch. English Bluebell- Hyacinthoides non-scripta (syn Endymion non-sciptus) is one of the most familiar woodland Wildflowers native to the British Isles. 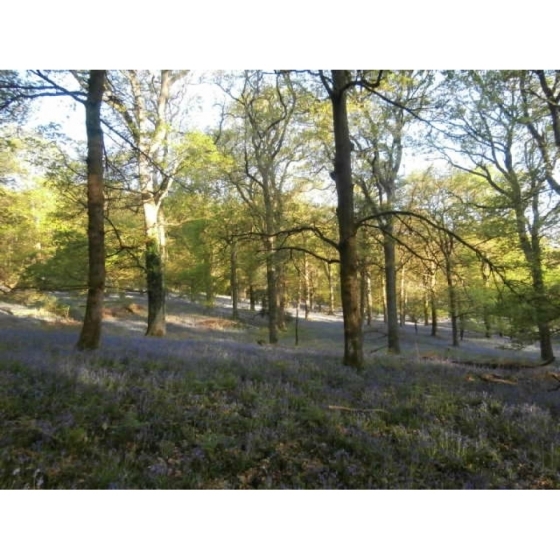 The nodding bell shaped flowers appear in April and May and carpet our woodland floors a magical rich blue. Bluebells can also be found along hedgerow bottoms in more open countryside where they have probably grown for many centuries. The flowers are scented and will attract insects including bees. By early July the flower stems will have died back, and the seedpods ripened to reveal distinctive round black seeds. Bluebells grow best on well drained slightly acidic soils that are rich in leaf mould and will tolerate some sun but generally prefer deep or semi- shade where the flowers will appear much richer in colour. It is also possible to introduce and establish Bluebells in short grass. Bluebells look best grown alongside other woodland wildflowers that flower at the same time, notably Red Campion and Greater Stitchwort. The distinctive white bulbs of English Bluebells can be introduced to their permanent planting positions in October and November. If the weather prevents planting, then bulbs should be stored in a dry, cool shady place until things improve. Stored carefully in this way most bulbs should keep for at least a week or more. A hole approximately 3 times the length of the bulb is required when planting. If the soil is especially heavy then the addition of a little sand can help. English Bluebell bulbs will do better if a dry soil with some leaf mould can be found in a shady position. Flowers should normally appear the following spring. 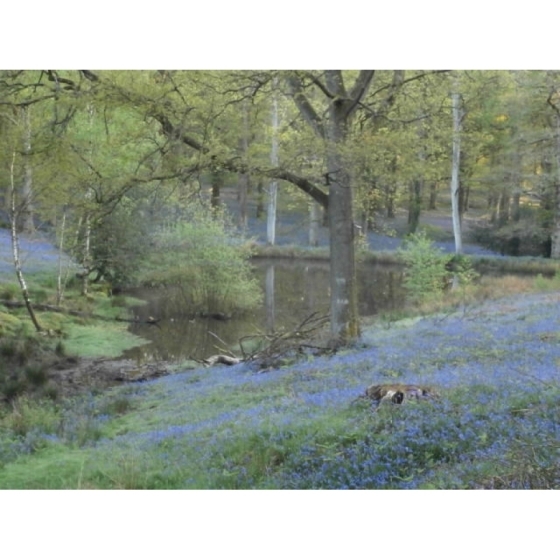 If you wish to establish large swathes of Bluebell woodland then consider the use of Bluebell seeds, which is a more cost effective option. Please click here to discover more details.